The mirror offers 3x magnification for cosmetic purposes. With the help of the flexible swan neck shaped support the mirror can be individually adjusted in all directions. LED-technics with extremely high durability. 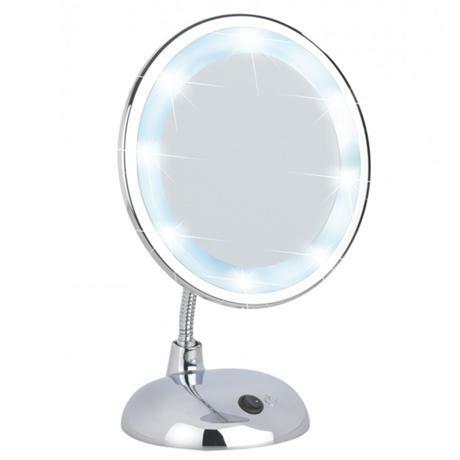 This mirror offers a 3-x magnification for cosmetic purposes. LED-technics with extremely high durability. With the help of the flexible swan neck support, the mirror can be adjusted in all directions.